Project Managers, Project Team Members, Anyone interested in the concept of Agile Project Management, if you work on agile teams or if your organization is adopting agile practices. Register before 08 Feb 2019 for 10% discount per person. In this quick moving world, being agile whilst managing projects is highly valuable. 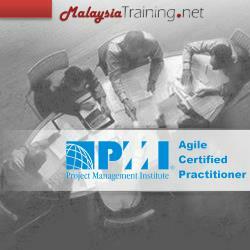 This PMI-Agile Certified Practitioner course aims to assist students in understanding the concept of agility within the realms of project management. This course is globally recognized as the leading certification for Agile Project Management. We are a Global Registered Education Provider for PMI and with this course, we aim to equip you with the necessary knowledge to pass the PMI-ACP examination and to practically use the knowledge when involved in projects.